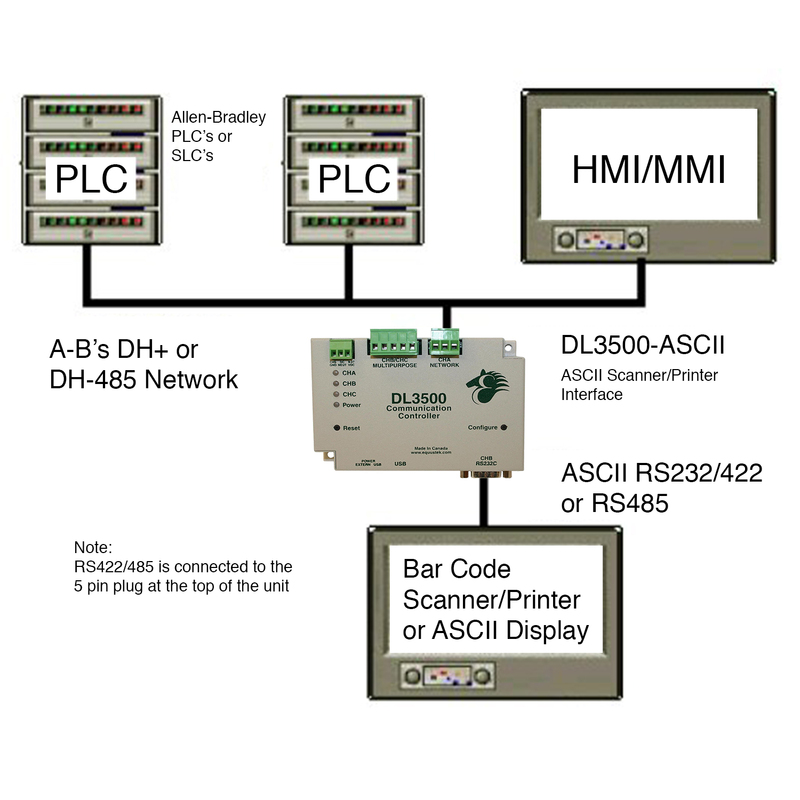 The DL3500-DH+/ASCII interfaces Serial ASCII devices such as Scanners/Printers to Allen Bradley processors SLC, PLC or other devices on an Allen Bradley DH+ network. This device improves the compact freestanding ASCII serial interface giving customers the ability to send as well as receive ASCII messages via A-B Data Highway Plus. The DL3500 facilitates ASCII data transfer to any PLC including models without an ASCII port, such as A-B’s ControlLogix. A block of data is temporarily stored in the 240-byte buffer until the buffer is filled or an ASCII carriage return is detected in the data. Once the data is terminated, the bytes are transmitted to the PLC's integer files in DH+ protocol format. All bytes are re-transmitted in the order they were received minus the carriage return.